Item1991.028 item 197 - Main Street looking South, Brampton, Ont. Item1991.028 item 198 - Main St., Looking South, Brampton, Ont. Item 1991.028 item 202 - Main Street, opposite the Park, Brampton, Ont. 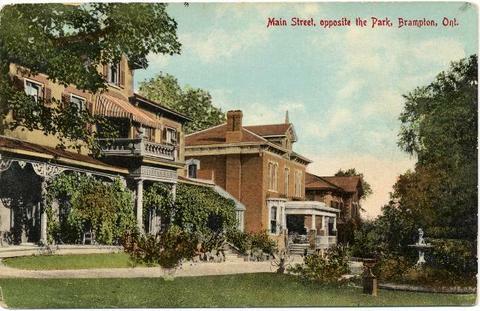 Main Street, opposite the Park, Brampton, Ont.